Raffles & lots of prizes to be won! Bookings open Tuesday 12th March at 6pm & close Wednesday 1st May at 6pm. For assistance with TryBooking, please call Kythera House on (02) 9599 6998. The Kytherian Ladies Auxiliary is a hardworking, dedicated and enthusiastic committee of ladies who sit under the umbrella of the Kytherian Association of Australia. From its inception in the late 1960's, the Kytherian Ladies’ Auxiliary has primarily organised functions to bring our members together and to raise funds for various charitable organisations. Some of the charities that we have donated to in the past include: The Estia Foundation; Cancer Research; Breast Cancer Research; Juvenile Diabetes Australia; Diabetes Research Foundation; Multiple Sclerosis; Scleroderma Research Foundation; Schizophrenia Research and many more. 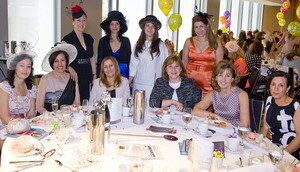 The Kytherian Ladies’ Auxiliary has organised a variety of functions over many years. 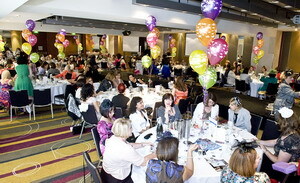 Some of these include: the Annual Melbourne Cup Fashion Parade Luncheon; Book Launches; Movie Days; Theatre Premiers; Musical Nights; Bus Trips; Harbour Cruises; Bowling Functions for the youth; Easter Hat Parades; Picnics and Children’s Fashion Parades. We are very proud of our past and present achievements, and look forward to a bright future with many more functions for our members, and we truly value the support and loyalty we continue to receive from the wider Greek community.